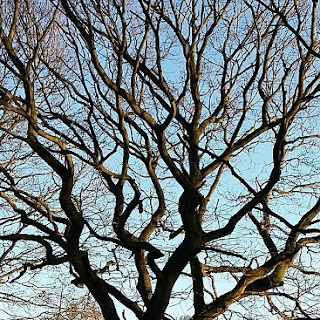 Nice tree, but no snow. With the children back at school, we’ve been slotting back into a normal routine. During term time, we tend to mix dashes to school with a merry-go-round of swimming, Strikers, guitar, Beavers, Cubs and Brownies. (Yes, you did read that correctly. Two children and yet all three of Beavers, Cubs and Brownies. Go figure). My working week has been a dollop of tax returns with a side order of writing about tax returns, and now I’m just cursing the anti-climax of hardly any snow. I wanted blankets of picturesque white stuff, to gaze at while wrapped up warmly inside. Maybe next week! In the mean time, here are my five fabulously frugal things for this week. Some of the apples we’ve been given were looking a bit soft and wrinkly. Rather than ignoring them until it was too late, I peeled and cored all five, chopped them roughly, and chucked them in a saucepan with a splash of water. 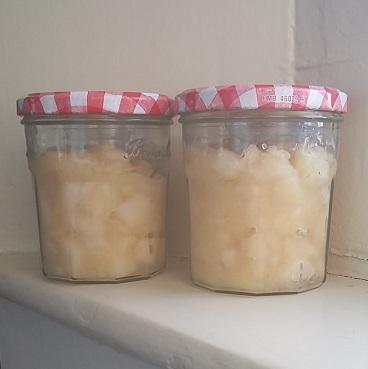 I softened them over a low heat, and made a couple of jars of stewed apple. The stewed apple has several other benefits, quite apart from extending the life of the apples and avoiding food waste. It tastes great on top of porridge or with natural yogurt, as part of the New Year’s Resolutions I mentioned last week about healthy eating on a budget. Plus, it’s not just a money saver, but also a time saver. If I’m in a hurry, I’m more likely to snack on something sensible when it’s handy in the fridge. A winner all ways round. Jellytastic. Anyone else nostalgic for Tupperware? It’s fair to say, however, that my children are less enamoured with stewed apple as a snack. As part of my plans to use up the contents of our cupboards, rather than spending extra money on food, I unearthed a packet of strawberry jelly. 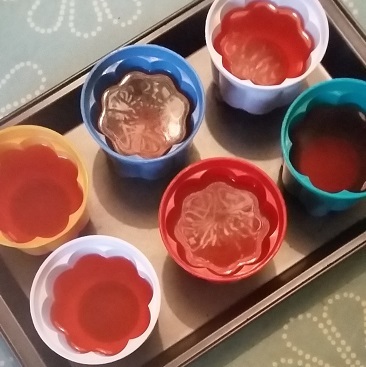 One packet made six little pots for the fridge (anyone else nostalgic about Tupperware?). They went down very well as an after school snack for several days. Continuing with my resolutions to get fitter, not fatter, I wanted to check out a copy of the Hairy Dieters: Fast Food cookbook. It promises lower calorie recipes that only take half an hour to cook. I’m not really up for supposedly healthy eating that involves scything entire food groups from my diet, and rather than existing solely on almond milk and quinoa, I like their approach of hearty meals that are full of flavour. Sadly, I have discovered that merely buying a book does not cause pounds to drop off – unless you count the damage to my bank balance. So rather than shelling out for yet another cookbook, before I know whether I’ll actually like any of the recipes, I reserved a copy from the library. We’re very fortunate that our local library is still alive and kicking, and a great resource for borrowing books and DVDs. Looks good so far – I’ve spotted several budget-friendly recipes like breakfast cranachan mixing the oats and berries with natural yogurt, plus ham and pea fritters, white bean and tuna fishcakes, blackeyed peas and greens, and a fish crumble. 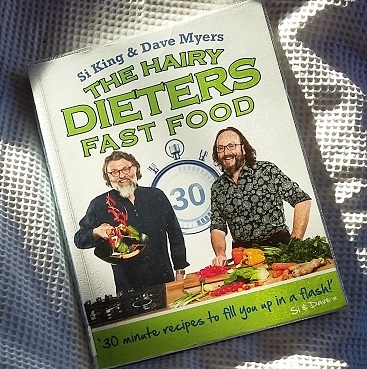 (And if you fancy getting your own copy, rather than borrowing one from the library, The Book People are offering the Hairy Dieters book for a bargainous £5.99 rather than £14.99)*. 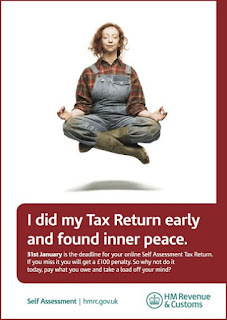 Sadly, filing my tax return did not enable me to levitate. Swizz. I may not have found the inner peace promised by HM Revenue & Customs, but it’s certainly a great relief to have filed my tax return online. Anyway, I dragged the bulging “tax” file out of the filing cabinet, and after much poring over bank statements and reference to my trusty excel spreadsheet, it was finally done. I’ve also written an article for this weekend’s Sunday Times with some top tips for completing your tax return – so the payment will be something to add to next year’s taxes! Sunshine slanting across the Railway Walk, earlier this week. One thing I’ve been really enjoying this week is getting outside in the fresh air. I spent a whole chunk of November and December with my head down typing away in front of a screen, so it’s been good to get out of the house. I’m still plugging away at the Couch to 5K running programme as part of my New Year’s Resolutions, with a short run every other day. At the weekend, my daughter asked if I could come out with her to ride her Christmas bike, so we went along the Railway Walk so she could hurtle over the hills and hummocks beside the track. 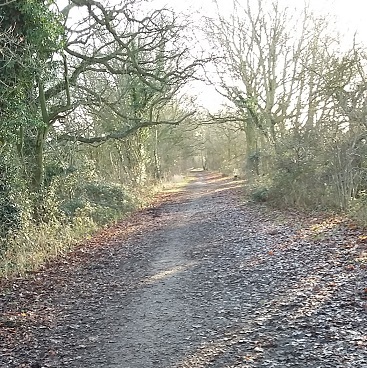 The colours may be muted greens and browns, but the sunshine slanting across the path was very beautiful. There are still robins, pigeons and blackbirds darting around, and plenty of dogs and dog walkers. Best of all from a frugal perspective, bike rides and runs are completely free once you’ve shelled out for the initial equipment. Anyone else got some frugal triumphs to share? Submitted your tax return, or dreading the day when you will finally get round to it? I’d love to hear! I love getting out in the fresh air. Well done for filing your tax return! I do mine right away but I HATE waiting to do anything so that isn't a surprise. At least you've avoided the fine. I think it is so common to keep putting it off, everyone seems to do it. Maybe they should incentivise you with a £10 discount if you file early 😀 People might do it then! Love the idea of an incentive to file earlier – that would definitely inspire me! When I asked HMRC for my article, they said 4 million people still hadn't filed their returns, so there's a lot of people out there. I like doing tax return early too because I always get some back and it's better in my purse than theirs! Great reason for filing early. No refund for me this year, rats. Bracing myself for next year's tax return, as I've had more work and therefore more income. Yes, stewing apples like this is a v. good idea – done it myself often enough. I saw a TV prog about B&Bs this week (people who want to rent out a room occasionally as a B&B) and the woman engaged to show people how best to do this also showed a breakfast dish which was a small compote for the guest for breakfast, something you could prepare overnight if you had to go out to work and leave them a breakfast tray: it consisted of a glass into which you put stewed apples, then some natural Greek yoghurt, and then crunchy cereal such as granola, then repeated it finishing off with yoghurt and perhaps decorating it with a sprig of mint. It looked lovely. I made this with frozen fruits of the forest (defrosted and cooked, of course!) but I found that just a little too sharp (even though I'd added some sugar to the fruit), so think apple might be best. We have an accountant and we were late getting the information to her so we're hoping that our tax returns have been filed on time! Fingers crossed for your tax return, I'm sure it will all be fine. Breakfast combo does sound delicious. Normally I try to steer clear of granola, due to added sugar/honey/other sweetner but it would make a good treat. Good stuff on the lifestyle changes! Never would have thought to put stewed apple on porridge, will be giving this a go. Fits in nicely with my slimming world. Definitely worth giving it a go – good luck with Slimming World! I like chopped banana as a budget topping for porridge, but ring the changes with stewed apple, grated apple, raisins and (defrosted) frozen mixed berries. Love the sound of those stewed apples! It's always good to find ways to make things last longer and avoid food waste. Your little jellies look cute too! Thank you! Tend to use up fruit in smoothies, or grated/chopped with porridge or yogurt, while the bendy veg goes into soup or stews. ha ha you're a hairy dieter!!! Ahem. Thanks for the support, sis. Suspect my bouffant hairstyles from the 80s do qualify me for that title. Frugal cinema! 3 tickets and parking at AMC before 3pm for less than we paid for snacks at Cineworld. Took in our own snacks too. Bit of thought + research = same fun, half the price. Same fun, half the price sounds brilliant to me. Own snacks definitely the way forward to avoid eye-watering cinema prices – last time I took popcorn from home in my handbag.